A double room with en-suite bath or shower. 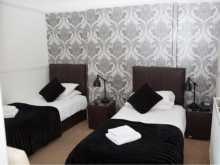 Each room has a large double bed, flat screen TV with tea and coffee making facilities. Triple room. With double and single bed. Room is en-suite and has flat screen TV with tea and coffee making facilities. A twin room with en-suite bath or shower. 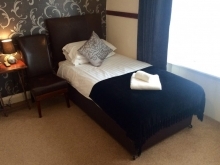 Each room has 2 large single beds, flat screen TV with tea and coffee making facilities. A single room with en-suite bath or shower. 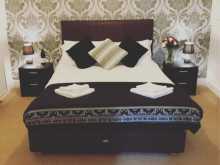 Each room has a large single bed, flat screen TV with tea and coffee making facilities. Adjoining Double & Twin Rooms with s shared bathroom. Accessed by a spiral staircase. Perfect for families or groups.